Tashi Phuntsok, Director of Tibet Museum, at the exhibition in Boston. 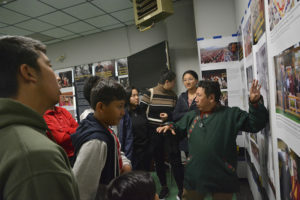 Boston: The Tibet Museum of the Department of Information and International Relations, Central Tibetan Administration, concluded its North America exhibition tour, after holding two-day photo exhibition at community hall of Tibetan Association Boston, Massachusetts on May 12 and 13, 2018. 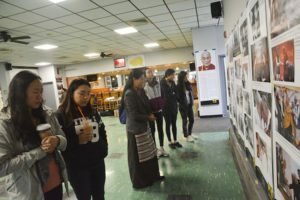 The two-day photo exhibition and the fundraising event held at the recently acquired community hall of the Tibetan Association of Boston, received positive response from the Tibetans as people of all age group came forth to witness the photo exhibition and documentary film screening. Around 300 visitors thronged in large numbers to see the exhibit with keen interest and enthusiasm. The first exhibition titled ‘The Biography of His Holiness the Dalai Lama’’ features extensive photographic and textual information on the life and messages of His Holiness the Dalai Lama, while the second exhibition titled – ‘’A Long Look Homeward’’ features photographic narratives on Tibet before the Chinese Occupation, results of the Chinese occupation, Tibet Today and hope for its future. 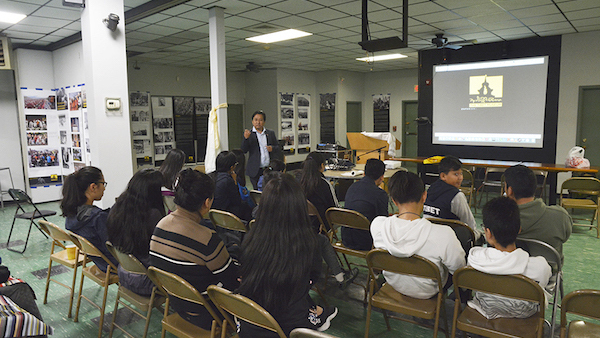 ‘Out of this world- A Journey into Forbidden Tibet’, a film depicting the journey of Lowell Thomas Sr. and his son into Lhasa, Tibet in 1949 was screened along with the new Tibet Museum’s promotional video. ‘Out of this world- a journey into forbidden Tibet’ features footages and photos of Tibet and its people filmed by the father-son duo and offers a glimpse into the lives of Tibetans before the Chinese invasion. 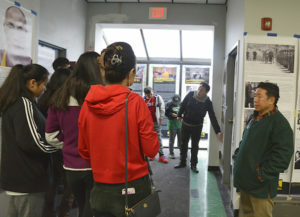 The exhibition in Boston was jointly organised by the Tibet Museum and the Tibetan Association of Boston (TAB) and facilitated by the Office of Tibet, Washington DC. The Tibet Museum is scheduled to hold film screening and fundraising event at Portland on May 20 and San Francisco on May 27, 2018. Tibet Museum staff Tenzin Rabjam at the exhibition in Boston. Visitors at the Tibet Museum’s exhibition in Boston.